Johnny Santana moved to Puerto Rico in the early 1990s in search of a better life than the one he had in his hometown of Higüey in the Dominican Republic. He worked in construction, as a cook, and later delivering vegetables to restaurants, a job he’s held for the past 20 years. He also found love – married twice – and began to work on his immigration status after he married his first wife. In the early morning on Independence Day, 2018, as Santana, his brother and three friends, also immigrants from the Dominican Republic, were driving to El Yunque National Forest, officers from the U.S. Immigration and Customs Enforcement (ICE) made a traffic stop and detained three — Santana, his brother and another person — of the five people riding in the car. The next day ICE herded Santana and the other immigrants to the airport — all bound for a flight to Broward Transitional Center (BTC), a 700-bed detention center in South Florida, 1,045 miles away from San Juan, Puerto Rico. 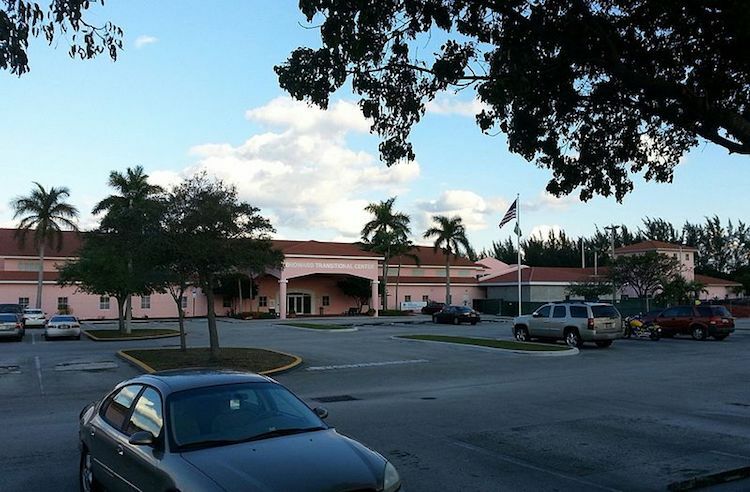 The Broward Transitional Center (BTC) is a detention center in Pompano Beach, Florida. It is administered by the GEO Group, a private company that has a contract to retain undocumented immigrants classified as “non-criminal and low security detainees”. After eight weeks in confinement, Santana felt hopeless about his immigration case. He had spent his forty-fourth birthday and the Dominican Republic’s Father’s Day detained. He’d made a decision. On Sept. 4, he appeared in immigration court with his attorney and asked the immigration judge to release him and allow him to return to the Dominican Republic. President Donald J. Trump changes to the Obama-era immigration enforcement priorities has also affected Puerto Rico, a territory of the United States, and the foreign-born residents with spouses and children, who’ve lived in the island for years, and some even for decades. Immigration enforcement policies in force during the Obama years established a list of priorities, focused on arresting undocumented immigrants with criminal records and people who posed a threat to national security, according to the American Immigration Council, an immigration policy organization based in Washington, D.C.
CPI filed a Freedom of Information Act (FOIA) request to ICE on Aug. 14, 2018 to find out how many apprehensions and transfers of immigrants have occurred in Puerto Rico during the past four years. The federal agency has not provided the data CPI requested. Trump’s hardline stance on immigrants, whom he has labeled “criminals” and “rapists,” ignores a disturbing reality: more than half of detainees (58 percent) in ICE custody as of June 30, 2018 have no criminal record and four out of five have at most committed minor offenses, such as traffic violation, TRAC data shows. 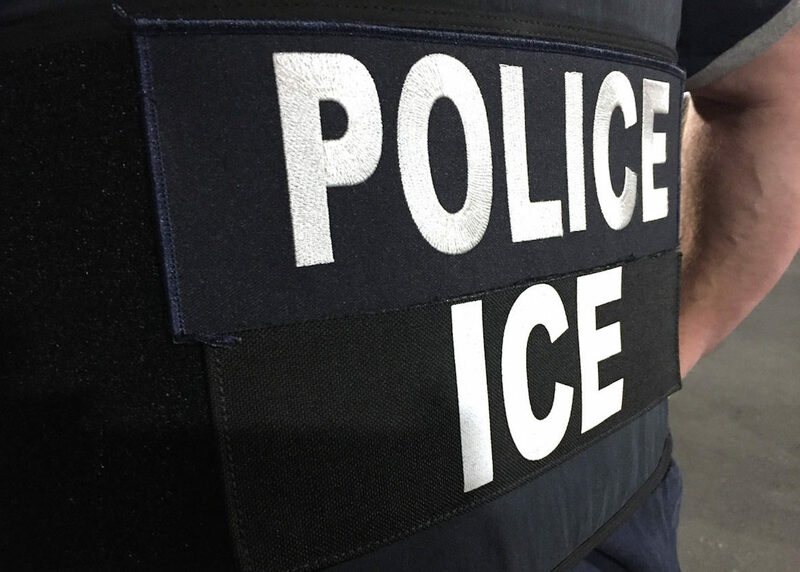 Five days after Trump’s inauguration, he signed an executive order expanding the scope of ICE enforcement priorities from the Obama-era, which focused on removing undocumented immigrants with criminal records. Between Jan. 25, 2017 – five days after Trump was inaugurated as president – and Sept. 30, 2017, the end of the fiscal year, ICE made 110,568 arrests, a 42 percent increase over 77,806 arrests made during the same period in 2016, ICE statistics show. CPI filed another FOIA request to obtain segregated data pertaining to Puerto Rico because the island is part of the ICE’s Florida region. The federal agency has not responded to that request. On Aug. 16, 2018, Maria Ayala, his wife, appeared with her attorney at the U.S. Citizenship and Immigration Services offices in San Patricio Office Center in Guaynabo to re-open her husband’s immigration case that began over two decades ago after Romero arrived in California and requested political asylum. Ayala and Romero are not their real names, as they have requested to remain anonymous. “The guy (at immigration) told me that he accepted (to re-open) the case because there was enough evidence that this was a solid marriage,” Ayala said. Ayala and Romero met on the Internet over two decades ago. After years of dating, they tied the knot in Puerto Rico where Ayala was born and raised. Romero worked hard, raised a family and paid taxes, she said. “He (Romero) fears that he and his family will be killed by terrorists of the Sendero Luminoso because he worked as an undercover agent for the Peruvian Navy at a time when he arrested many members of the Sendero Luminoso,” Romero asylum application dated Jan. 9, 1993 shows. Since her husband was arrested, Ayala has exhausted all her savings – $26,000 – paying legal costs, bills and sending money to her husband. On Oct. 16, Romero was deported to Peru. Reichlin-Melnick, of the American Immigration Council, said the immigration court backlog has been growing with every administration, but under the Trump administration, the court backlog is growing faster than at any other time. “If it continues to grow at the same rate, it would double during his first term, which it will be more than any other president’s first term in history,” he said. Johnny Santana’s history with immigration court began in 2000 after the government declared his marriage to his first wife to be fraudulent. While Santana’s attorney tried to solve the issue, the government brought back the “marriage fraud accusation” after Santana remarried and his new wife filed a petition with immigration. The immigration judge in Florida accepted Santana’s letter explaining how the DHS disregarded efforts to prove the claims were wrong. Santana, who has no criminal record, was granted his request and ordered to leave the country, leaving his wife Audri Román behind. Audri Román in front of her house in Barrio Obrero, Santurce, looks a photo where she and her husband Johnny Santana appear together. 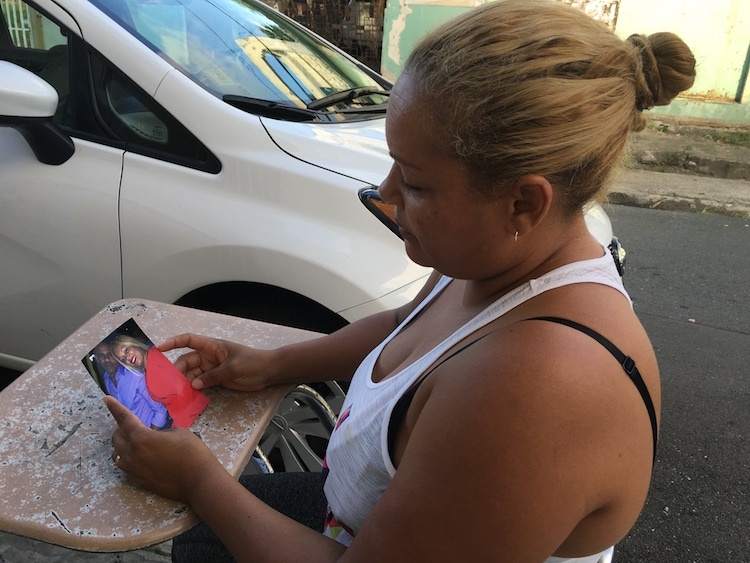 A week later, Audri Román, 43, sat on the sidewalk in front of her modest apartment in Barrio Obrero. Román, a U.S. citizen, cares for a bedridden elderly woman and clean houses to make ends meet. Also from Higüey, she met Santana in Puerto Rico years ago and they married in 2013. She’s optimistic that she will be able to bring her husband back home in the future now that the marriage fraud issue seems to have been resolved. But that could take years. “The worst of this (situation) is to be forced to leave the life you built here behind,” Román said about her husband.